For many people, the shortened days of winter can be rough. There's definetely something unpleasant about leaving the house before sunrise, only to come home after it has set, or as it's setting. Your salvation is at hand; spring is just around the corner. But why wait so long? If you feel buried under the weight of Seattle’s moisture-heavy, gloomy skies and short days then you should consider heading out for a long weekend of rejuvenation. 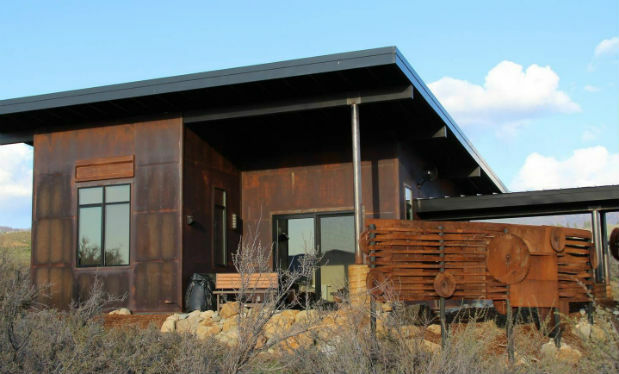 We’ve compiled a standout list of Airbnb’s from around the state to help push you out the door. If you’re seeking a charming, romantic, wintery escape, Winthrop might just be the place to go. Leave the kids at home or take them along to this hidden, mountain gem that's tucked in the gorgeous Methow Valley of the North Cascades. The town offers plenty of cold-weather activities, including more than 124 miles of interconnected cross-country ski trails, downhill skiing at the Loup Loup Ski Bowl, snowshoeing, snowmobiling, ice skating and more. When you’re finished frolicking in the snow, consider heading to the Sun Mountain Lodge for a gourmet dinner at the AAA Four Diamond Award winning (25 years standing) restaurant, The Dining Room. Afterwards, swing by The Wine Shed (130 Riverside Avenue in Winthrop) to help relax those aching muscles with a glass of wine, whiskey or beer. 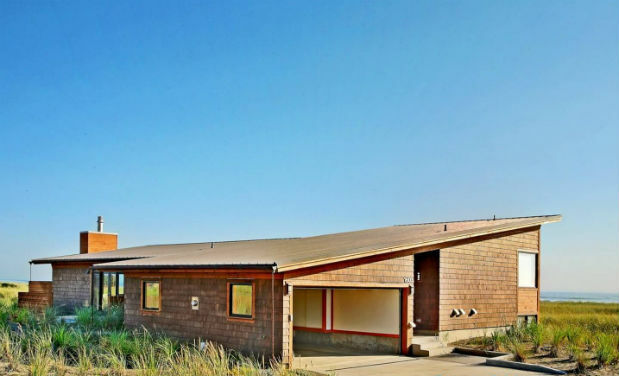 Or, you could just forget all that and enjoy the incredible views afforded by this hill top hideaway with your special someone only a quarter-mile outside of town. With enough room to accomodate four, but with only one bedroom and one bathroom, it might be best to leave the kiddos at home. It’d be warm, cozy and tough to beat. There’s something undeniably mesmerizing and soothing about the rhythmic crashing of ocean waves on the beach. Consider then, staying on Cohasset Beach, outside of Westport. Washington’s coast is not only beautiful, but it’s also rarely crowded, especially at this time of year. 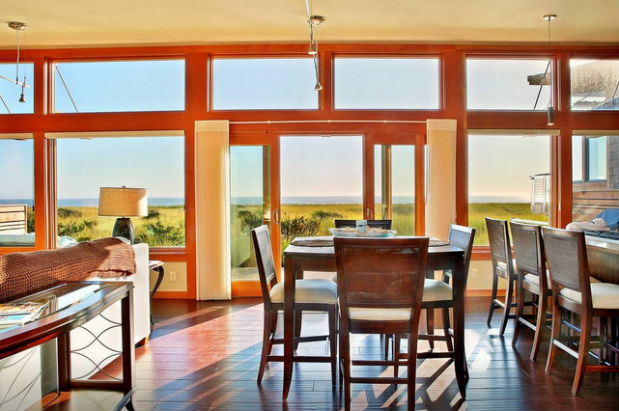 This Airbnb is situated with sweeping views of the ocean and promises more than enough space for a couple or the whole family with its three bedrooms and two-and-a-half bathrooms. Westport has plenty of shopping, dining and chartered sport fishing cruises as well. Consider getting your feet wet with some clam digging, if the seasons are open. Find information on seasons and licenses here. Comb the sands for little treasures or huddle together for warmth in this well-appointed abode. Vacations are often an excuse to drink, but why must it be excused? Why not just make drinking the whole point of the trip? After all, we are lucky enough to live in a state with a thriving wine industry. It’d be a shame, a waste even, not to take advantage of that, wouldn’t it? 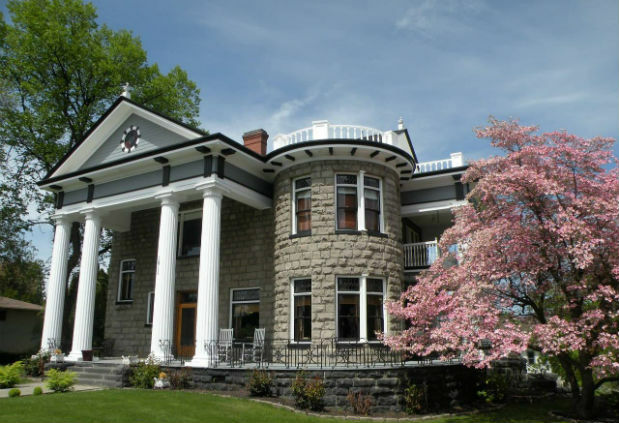 If you're up for a drive, four hours behind the wheel will put you in the heart of Walla Walla wine country where you can fill your glass at any number of fantastic Washington wineries such as L’Ecole No. 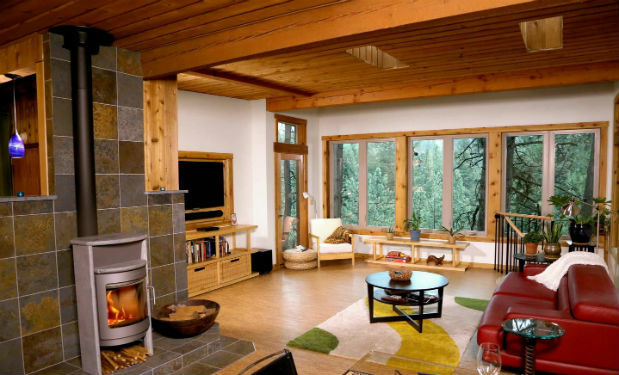 41, Revelry Vintners or aMaurice Cellars and feast your eyes on stunning vistas from this delightful cabin perched on top of a hill and amidst a forest of Ponderosa pines. It's got ample room for six, so you could make it a group road trip if you feel so inclined. During February, Walla Walla hosts its own celebration of the culinary arts: February is for Foodies This event features food, wine, and chocolate pairings, special lodging discounts, and cooking demonstrations led by some of Walla Walla’s finest chefs like Scott McLean and Andrae Bopp. Prix-fixe menus at top local restaurants like Saffron Mediterranean Kitchen, Vineyard Lounge and Whitehouse-Crawford will also be available. Available over President's Day Weekend and various dates through spring. Not often does the chance to stay in a century-old, 9,600-square-foot, neo-classical mansion come along. Perhaps not once you see the price ($500/night), but it could be reasonable with a group of friends or families--five bedrooms and four bathrooms ought to do the trick. Yakima offers something for everyone, including spas and great spots for hiking, camping and snow sports. If you're into wine, you'll encounter AntoLin Cellars, Gilbert Cellars, Kana Winery and more or, since 75 percent of the nation's hops are grown in the Yakima Valley, there's plenty of beer to go around as well. We say go all-out and hire a limousine as a swanky chauffeur. Availability in February and beyond. Orcas Island is an outdoor playground, one that locals affectionately refer to as the “the Emerald Isle." It’s a grand total of 57 square miles, most of which remains pleasantly rural due to this island’s small population of less than 5,000. From the forests to the ocean, to the parks or all the way up Mount Constitution, Orcas Island typifies the stunning beauty of the Pacific Northwest. This delightful one-bedroom house is the perfect couple’s cottage. It boasts a commanding view of the ferry terminal and the surrounding bay. Sit on the deck, soak up the sun (if it’s out), sip on some wine and say goodbye to stress. You’ve earned it. Some availability in April, books quickly. 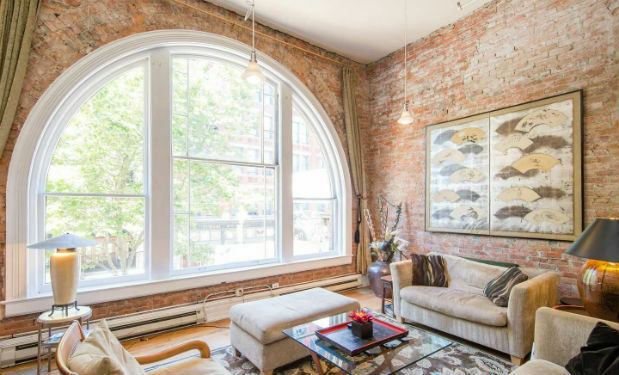 If a night on the town is just what you need and you don’t want to travel far to get it, then book a stay at this spacious loft in Seattle’s Pioneer Square. Right on First Avenue, this place has historic charm and accommodates up to four people, but note that there are no bedrooms, so you might want to keep it down if you’ve got company. Lots of availability in April. Have you ever wanted to see what life on a houseboat is like? I know I have. This might just be the closest many of us ever get. 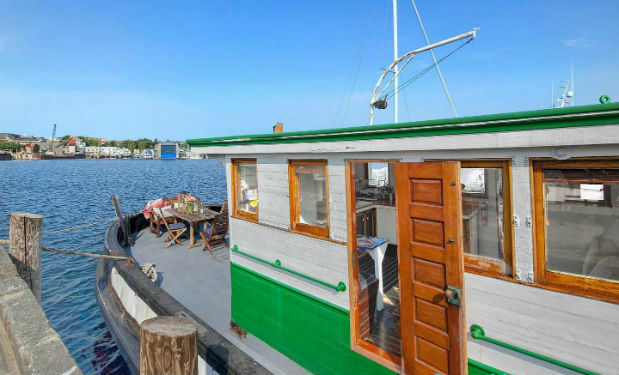 Stay on a classic, 75-foot, 1927 tugboat that’s been fully renovated. 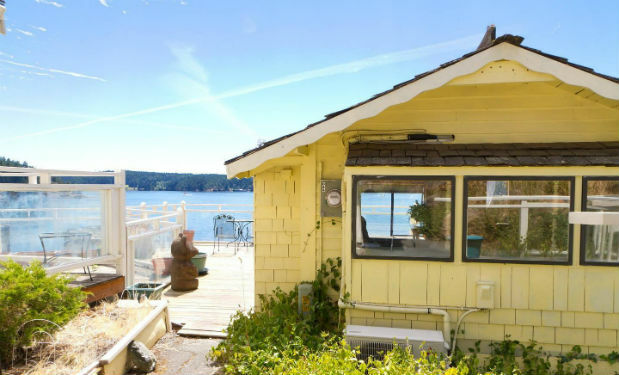 It’s got all the modern conveniences you’d expect and is moored on the Magnolia side of Salmon Bay. 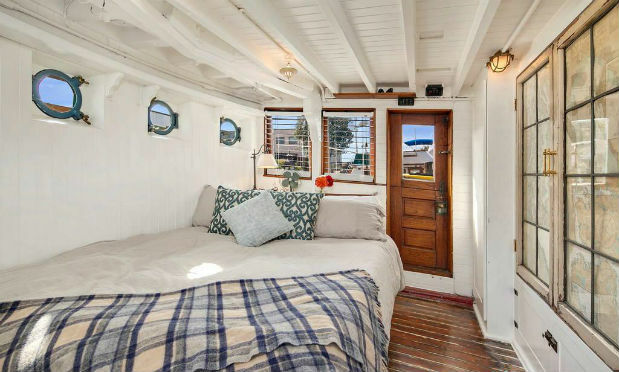 Two comfy looking bedrooms and two cozy bathrooms allow this charming old boat to house a "crew" of three. Unfortunately, taking this old beauty out for a joy-ride isn't an option. However, it has easy access to Ballard, Interbay and the whole of downtown, so you can stay on the boat and then head out and explore the parts of Seattle you haven’t yet seen. Various availability in March, wide open in April.